Section 80CCC has been inserted with effect from the AY 1997-98. This section provides a deduction to an assessee (individual) for any amount paid or deposited by him in any annuity plan of LIC of India or any other insurer for receiving pension from a fund referred to in section 10(23AAB). The deduction shall be restricted to ` 1,00,000/-. Where after claiming the deduction, the assessee or his nominee surrenders the annuity before the maturity date of such annuity, the surrender value shall be taxable in the hands of the assessee or his/her nominee, as the case may be, in the year of receipt. If deduction is claimed u/s 80CCC, pension received will be taxable in the hands of the assessee or the nominee, as the case may be in the year of receipt. Rebate (with reference to the amount paid u/s 80CCC) will not be available u/s 88 to persons to whome deduction under this section has been allowed. u/s 80C, 80CCC , 80CCD(1) and 80CCD(2) should not exceed ` 1,00,000/-(for AY 2006-07to 2011-12). u/s 80C, 80CCC and 80CCD(1) cannot exceed ` 1,00,000/-(from AY 2012-13). 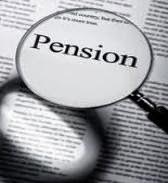 Section 80CCD(1) – Contribution by an employee (or any other individual) towards notified pension scheme. Section 80CCD(2) – Employer’s contribution towards notified pension scheme.